It has been two and a half months since my Shouse building was delivered. Since that time it has rained a ton and I have been in and out of the building a thousand times or more. Over the course of time the weight of the building has caused it to begin to settle out of level. It became more and more apparent as I began to finish walls, so I stopped and called the builder back out to re-level the building. Oklahoma has topped California in the number of earthquakes in 2014 and that is indicative of soil that will continue to settle. I am sure that in the future I will again be required to level the building. Just driving around rural Oklahoma, one can see many, many homes that have settled over time with sinking foundations. I feel it is much easier (and a hell of a lot cheaper) to level my building myself each year or so. Hopefully over time the amount that it settles will decrease. 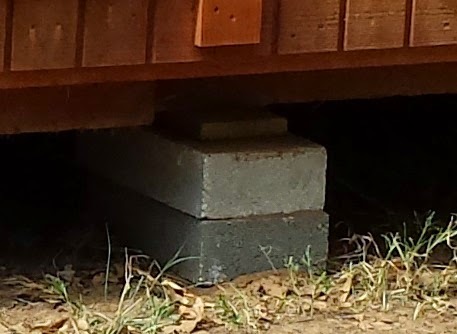 I also decided to put my house up on cement blocks to keep the wood from the soil. Even though the wood has been treated, I live in a moist and warm climate which will take a toll on the building over time. Since the builder was coming out anyway, I requested they bring cement blocks to put the building up on to extend its life by lifting it off the damp soil and replace the treated wood blocks the building originally rested on. The builder offered to show me how to level my house myself to save money in the future. So, curious how to level a building? Let me show you how to level your building in three easy steps! First off, a disclaimer: For safety's sake, it is best that you only do this with a helper. Use a long stick, such as a broomstick, to push the blocks deep under the building and into position. Just as when a mechanic jacks up a car to work under it, make sure you have supports in place so that the building cannot drop on you. Use caution as a six thousand pound building can squish toes, fingers, and people in the blink of an eye. Use common sense. Safety first! A Mule can do all the heavy lifting like it is nothing. A hand jack can do all the heavy lifting too. Step 2: Using a long level, check for level for each side working around the building in a clockwise manner. 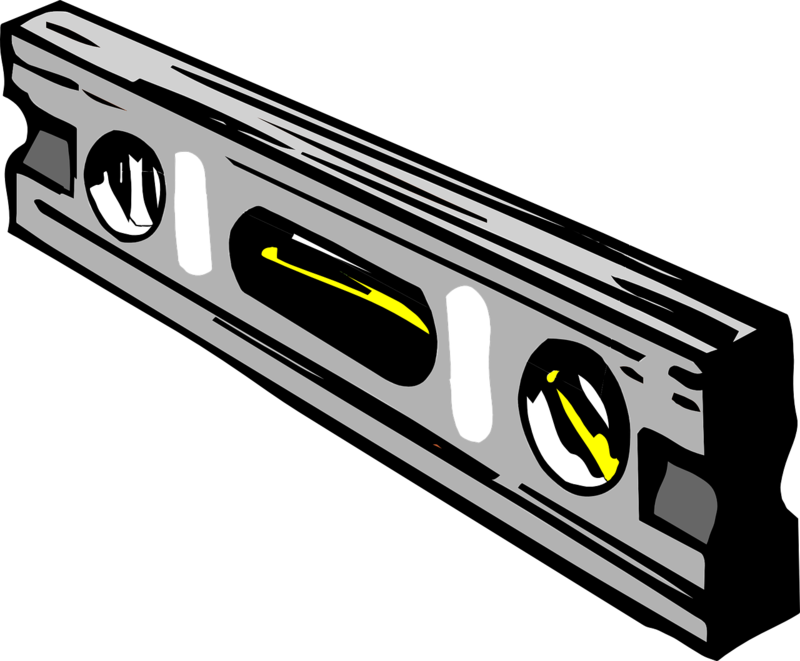 To check the level on a side of the building, you lift the end of the building and vice versa. If you are jacking up the side of the building then you check the end for level. When the bubble is centered on both ends and both sides, you are good to go. That is it! That is the entire process. I know it seems like it should be more daunting, but it really isn't. 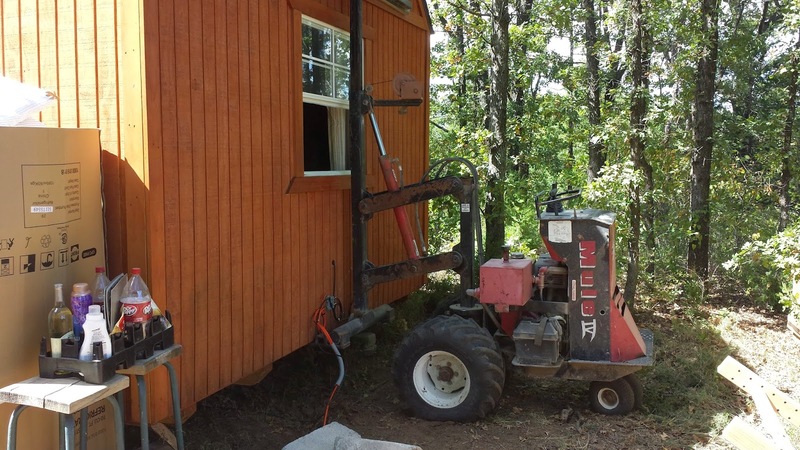 The process is similar for a trailer home. I have even seen it done on a traditional stick-built home, but was a bit more complicated and a bunch more jacks are needed. This is just another of the advantages of having a tiny home!